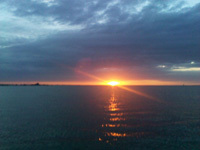 Sanibel Island Real Estate, Captiva Island Real Estate - 2012 is starting out with some good signs! 2012 is starting out with some good signs! The islands are starting to fill up with locals and tourists fleeing the cold, frigid weather of the north. We are having our usual terrific conditions with the fishing, shelling and boating in full swing. This is always a favorite time on the islands. Even the real estate market is showing a nice recovery from the last few years. 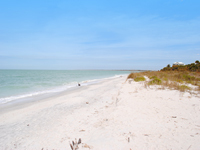 Currently on the islands (as of 1/17/2012) on Sanibel we have 31 residential properties under contract (either pending or contingent) and 14 condos under contract! 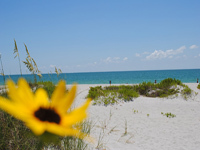 On Captiva we have five properties under contract (homes and condos). We are just two weeks into the new year and this is a terrific sign that we are moving into an active real estate year! Prices are still low and we have a nice inventory of properties for sale so now is the time. My recent listing in Sea Pines just might be the perfect place for you! It's a three bedroom, three bath town home on Middle Gulf Drive. The home is a 1/2 duplex in a three building, five unit, home owners association development. CLICK HERE to check it out.